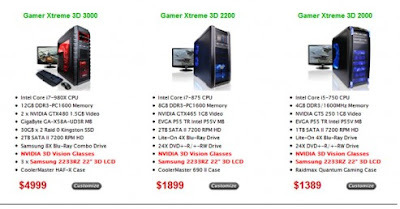 Two new 3D desktop gaming PCs assembled by CyberPower are dubbed Gamer Xtreme 3D and Gamer Ultra 3D. 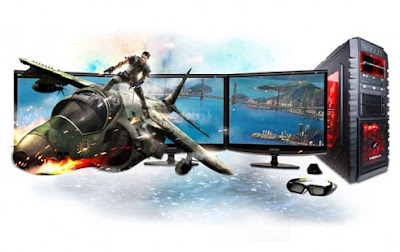 These two customizable 3D desktop gaming PCs could be powered by either Intel Core i3, i5, i7 processors or AMD’s six core Phenom for smooth system performance. You will also find NVIDIA GeForce GTX 400 GPUs deliver the graphics horsepower to run your games in 3D stereo, across three displays, delivering high definition resolutions 3D up to 5760×1080 pixel. 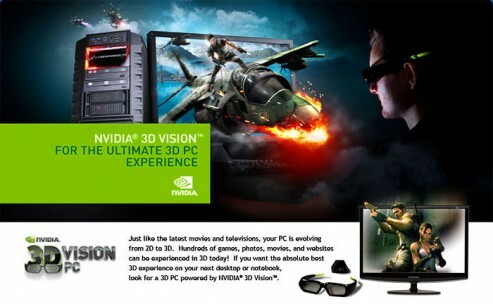 However, you will need to wear the specially designed NVIDIA 3D Vision glasses in order to enjoy the optimum 3D effects.